Login either using your Facebook, Google or Twitter account or using your site UserName and Password. This ought to be pretty straightforward . Windows 10 - How to disable auto restart completely? Every now and then Windows 10 forces your PC restarts and just closed everything that you were working. Here we introduce some methods to stop the automatice reboot feature. Read more: Windows 10 - How to disable auto restart completely? Windows 10 - How to take ownership of a folder or file? Windows 10 is very intrusive, filled with malware, spyware, clickerware, trackingware, snifferware (whatever you want to call it!) to see and watch what EVERYONE on Earth is doing! Read more: Windows 10 - How to take ownership of a folder or file? 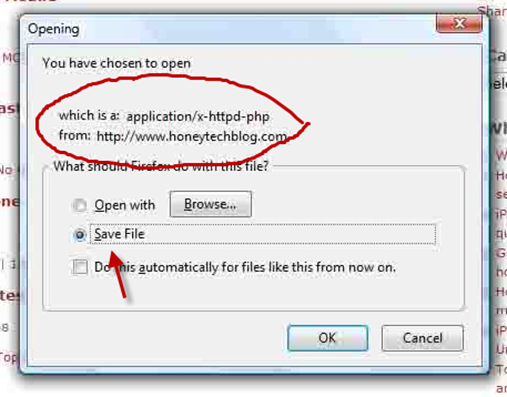 You open your web page and your browser ask to download a php file instead of opening the page. This means your server have trouble in parsing the php files. Php parsing is a common problem that is occurred due to misconfiguration in the server side, can be fixed by accurate .htaccess rules. Windows 10 - How to completely uninstall Update Assistant? In Windows 10, Microsoft really forces those updates out and restarts PCs even if you were in the middle of something. You cannot prevent this just by disabling the Windows Update service, because Windows 10 overrides this setting. Windows 10 Update Assistant modifies the settings in your computer and Windows 10 auto update starts to work again. If you have Windows 10 Update Assistant installed in your computer, you should uninstall it completely. Click Update Assistant in the right pane. Make sure to disable each trigger in Triggers tab. Read more: Windows 10 - How to completely uninstall Update Assistant? There are a bunch of unwanted softwares that you don't want to keep in the Windows 10 system. By doing this you free up some disk spaces and speed up your PC. One thing you should know before you attempt the methods outlined below. Microsoft has incorporated a sort of a self-healing service in Windows. This means if anything goes wrong in the background, Windows will fix it. The self-healing service might reinstall the apps that you unstalled. And, in case it doesn’t, it will install those apps automatically on your next major upgrade of Windows 10. If you don't want to repeat the process every time this happens, you may choose to stop all automatic updates. How to remove Windows 10 update feature? In Windows 10, Microsoft really forces those updates out and restarts PCs even if you were in the middle of something. You cannot prevent the annoying Updates downloading and installing programs just by disabling the Windows Update service, because Windows 10 overrides this setting. Here are some methods to remove update feature from Windows 10 system. Read more: How to remove Windows 10 update feature? Two areas hold the folders and shortcuts for all desktop applications that appear in the Start menu's All Apps list. This area contains folders and shortcuts for software installed just for you. You can remove apps and customize the Start Menu for your account. The Search Engines and Directories listed below are among the hightly ranked in the world. Rankings are determined by Alexa.com and are updated regularly. How to block bad bots or bad web-crawlers? A web crawler is a program or automated script that visits Web sites in a methodical, automated manner. This process is called Web crawling or spidering. For detail information, you can read "What is a web crawler?". Webmaster welcome well known bots(like google, bing, yahoo, alexa) crawling their websites and don't like other bad robots or harmful spammers. Here I will introduce some strategies to block bad bots. Read more: How to block bad bots or bad web-crawlers? Copyright © 2009 - 2019	Technology Source. All Rights Reserved.